What seems to be a misused phrase in the photography community is being made increasingly more confusing by those who don’t understand what they’re saying. Shortly afterward at work, I had a conversation with another photographer who ranted and raved about another local photographer because of how he “crushed the blacks” in all his images. He then proceeded to show me images of his work. What he showed me were images with lifted blacks! Crushing blacks is the process of taking relatively dark areas (black to dark gray) and making them even darker by increasing contrast in those areas. It removes any areas of light within those dark areas and many people in the past have used it to reduce noise in their dark areas in video clips and in television. There will be some detail loss in those areas. Lifting is the opposite of crushing, taking the dark areas (black to dark gray) and making them more of a lighter gray by reducing contrast in those areas. Sometimes you can regain some viewable detail in the dark areas. If people wanted to crush or lift the blacks with tools like Photoshop, Lightroom, Perfectly Clear, or Luminar, they simply use curves. The Curves tool, formally called Tone Curve in Lightroom and Curves in Photoshop, shows the image’s tonality as a diagonal line on a graph. Moving points on the graph adjust the image’s tone. On the graph, the upper right corner represents highlights. The lower left corner represents the shadows. The horizontal axis of the graph represents the input levels (original image values) and the vertical axis represents the output levels (new adjusted values). As control points are added then moved on the line, the curve changes, reflecting your image adjustments. The steeper sections of the curve represent areas of higher contrast while flatter sections represent areas of lower contrast. 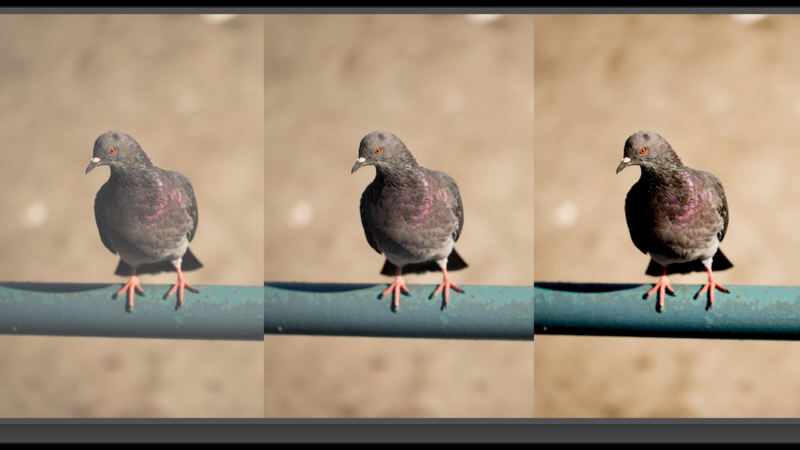 This is a great tool that many photographers use to brighten, darken and finely adjust an image. There are other ways to achieve the same effect, but this is one that is the most effective and efficient. In Lightroom, curves are on the panel on the right under the Develop module. In Photoshop, the option is found under the Image Menu->Adjustments > Curves, or by using Command+M or (Control+M in Windows.) Work nondestructively by using a Curves Adjustment Layer in Layer->New Adjustment Layer->Curves. Notes and history: I’ve added a point in the center of the line to hold the rest of the values in place. Also, there were messenger pigeons that were awarded medals for their bravery. Weird right? One even got shot in the chest and in the leg, but still delivered the message. I have to apologize about the pigeon, but I found that this was one of the best visual examples I could give you all. Crushing the blacks is done with curves by dragging the bottom left point to the right. The amount of “crushing” is up to you, and thankfully it’s an adjustment that you can see as you adjust, making it easy for you to define how much is too much. Notice that the areas that originally were a dark gray, are now black. The contrast is increased from the shadow end. Lifting the blacks is done similarly to crushing the blacks, but instead of dragging to the right, you’re going to drag straight up. Lifting the blacks makes anything that is on the darker end of the spectrum slightly lighter. Comparing the dark section of this picture to the one above it makes it pretty easy to distinguish. This introduces a fade that is pretty fashionable at this current point. Again, the amount that you want to lift is up to you, and it’ll be something you can adjust on the fly. Crush it. Lift it. Twist it. Bop it. Call it what you want, but crushing isn’t lifting. Both lifting and crushing the blacks are wonderful ways to manipulate an image to help achieve a certain look that you may be looking for. It’s great for stylizing as well!